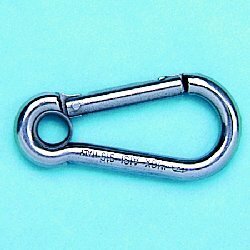 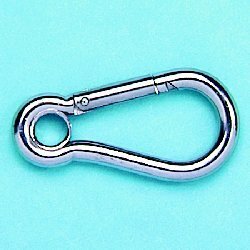 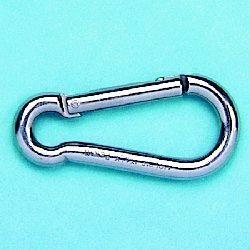 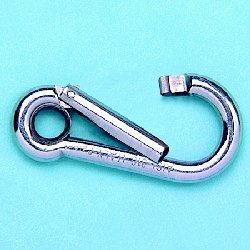 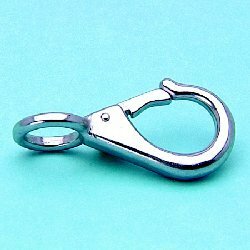 We offer a huge selection of stainless steel clips and stainless steel spring clips including, trigger snaps, swivel eye hooks, fixed and double bolt. 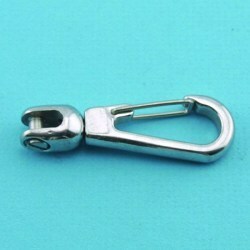 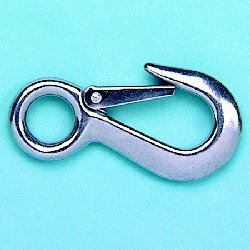 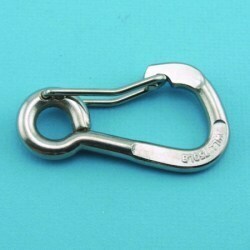 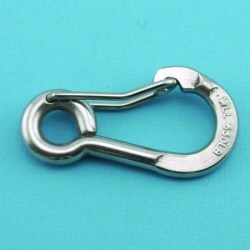 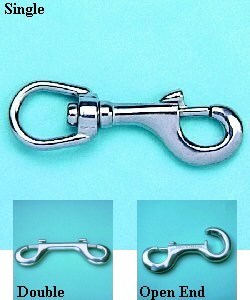 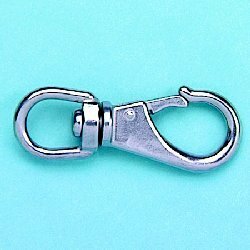 Every one of our stainless steel marine clips are made from grade 304 or 316 stainless steel. 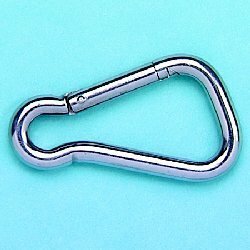 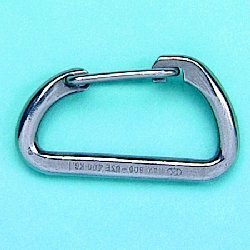 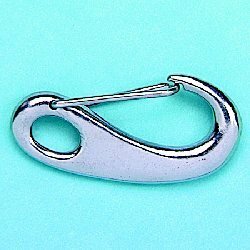 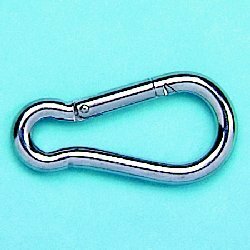 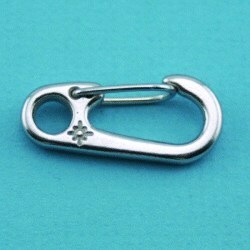 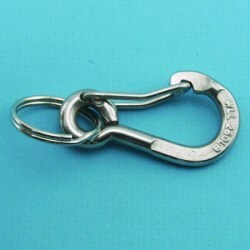 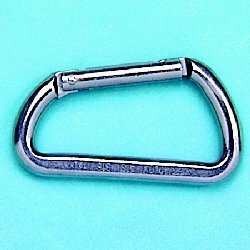 These clips are also commonly called carabiner clips. 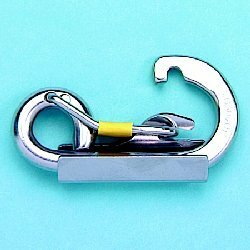 Becuase of the spring loaded gates, they are widely used in rope-intensive activities such as climbing, acrobatics, caving, sailing, rope rescue, construction, industrial rope work, and even hot air ballooning. 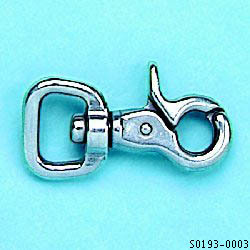 In military circles, these are known as D-rings. 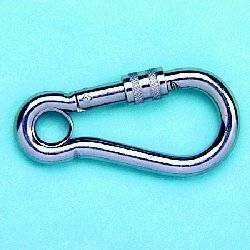 Stainless Steel Hog Ring for Shock Cord Hook 3/8"
Stainless Steel Hog Ring for Shock Cord Hook 3/16"